IMPORTANT: Please note that we will be closed from Thursday 4/18 through Sunday, 4/28. Orders placed after 12:00pm on Wednesday 4/17 will process on Monday 4/29. We apologize for the inconvenience and thank you for your continued patronage! 12 Oz. Plastic Cups - 16 Ct. Choose from a wide variety of beautiful colors! Great for birthday parties, baby showers, luncheons, and much more! 12 Oz. Black Plastic Cups - 50 Ct.
12 Oz. Cerise Plastic Cups - 50 Ct. These 12 oz. plastic cups are the perfect way to serve drinks at your next event. 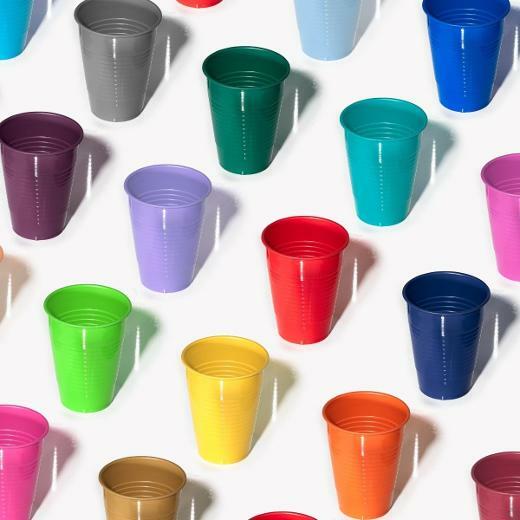 Made of a glossy, lightweight plastic, these cups feature a bright, lime green design. Great for birthday parties, baby showers, luncheons, and much more! L: 3.5 in. W: 3.5 in. H: 8.5 in.